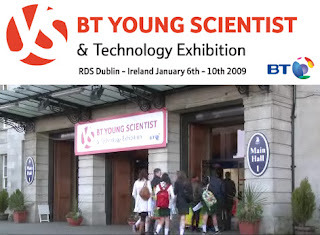 We recently visited the BT Young Scientist exhibition in the RDS with our year group. Everyone had a great time, we enjoyed walking around looking at all the projects and of course, collecting some freebies along the way! There was a group from our TY year that got through to the competition, their project was good. It was about how school bags affect your health etc. In all, we had a great day at the Young Scientist! Hi, my name is Abbie! I am 16 years old and I am a student at St.Wolstan's Community School. I am currently in TY, and love it! I created this blog so that I could share all the amazing experiences I have had in TY with others. I hope you enjoy reading my blog and feel free to leave a comment on any post!